President and Sister Macdonald share a bit about who they are and what they look forward to as they serve in the Scotland/Ireland Mission. I was raised in a small coal mining town in Price, Utah. My father is Ramsay Alaster Macdonald (spelled with a small “d”). My mother, Ann Dart, is a convert and a wonderfully strong woman who raised us after my father was killed in a coal mine accident when I was 12. Both of my grandparents were born and raised in Scotland. Sister Macdonald is the oldest of six girls. She has Scottish, English and Welsh ancestry. She is the love of my life and enjoys her grandchildren, organ.izing and serving in the Church. 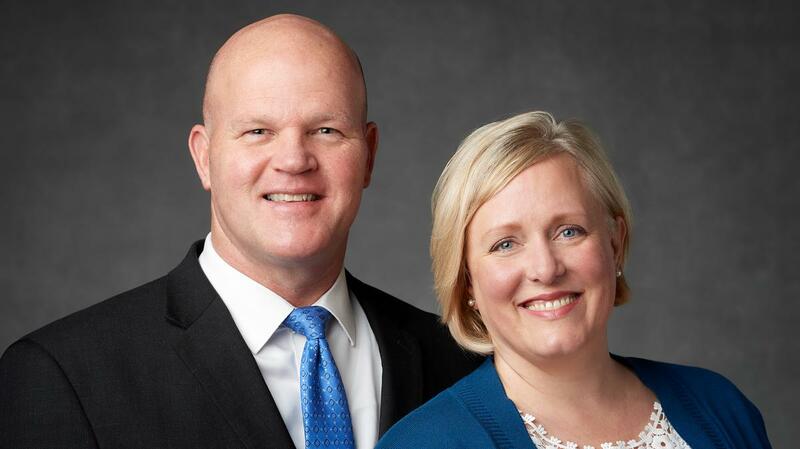 She has served as a ward Relief Society and Primary president and stake primary counselor among many other things, and as a seminary teacher. I was baptized when I was eight years of age but because my father was not a member of the church and my mother not active at the time, I was not active until around the age of 15. The first book I ever read in my life was the Book of Mormon. It touched my soul in a way and at a time of life that caused me to desire a closer proximity to God and the Savior Jesus Christ. I served in the Mississippi Jackson Mission from 1983 to 1984. Denise and I have known each other from the time we were in fourth grade. We dated a bit in high school but didn’t date again until I got home from my mission. Sister Macdonald was born and raised in Utah. Much of my growth in the gospel and Church can be attributed to the good friends that I had growing up. These young men were active, and mischievous in a good way, and included me in Boy Scouts and other activities and eventually as a member of the Church. Each of them served missions and they remain good friends today. My love for the Savior Jesus Christ is the reason I served a mission. As a minister of the Lord Jesus Christ, I learned that I loved teaching the gospel and seeing growth in the lives of those who accepted the truth. It is also a reason I enlisted in the United States Air Force where I served four years of active duty. Sister Macdonald and I have six children and 8.7 grandchildren. (a granddaughter will be born a month after we leave for Scotland.) My greatest passion is teaching. I also love to cook and bake, which feeds my habit of eating. Right now, my goal for the next three years is to follow the lead of the great President George Donaldson.